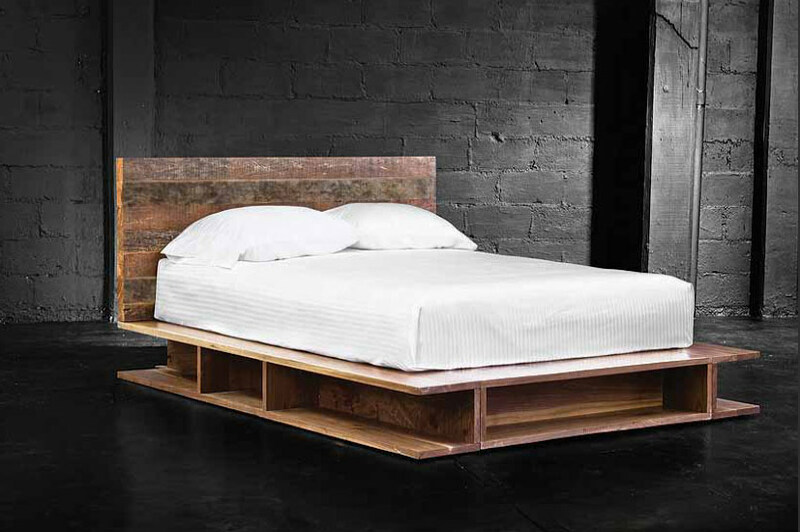 Made from exotic Demolition Hardwood our Tierra Platform Bed is both exotic and functional. 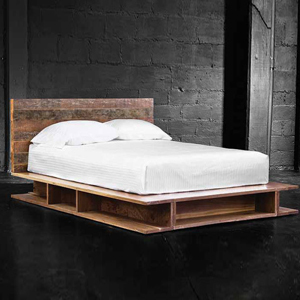 The Tierra bed is handcrafted from a mix of reclaimed woods such as white oak and black walnut. The sides feature storage for books and magazines for the avid bedtime reader. A sturdy wooden slat kit is included so you can put your mattress directly on the frame for a modern low profile look.